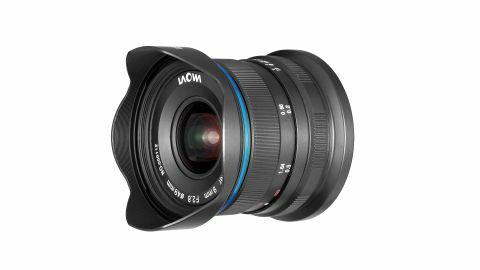 Laowa might not be one of the best-known brands out there, but the 9mm f/2.8 Zero-D is a serious, premium-quality lens, both optically and in terms of build quality. Don’t be put off by the manual controls: you’ll adapt surprisingly quickly, and the payback is edge-to-edge sharpness and a distortion-free rendering you’ll rarely see from a lens this wide. If you’ve bought an APS-C mirrorless camera, the chances are it’s because you want a compact, portable camera kit – so the last thing you need is a big, fat zoom lens to cover off all the focal lengths you need. One of the things that makes the Laowa 9mm f/2.8 Zero-D especially appealing for Sony E, Canon EOS M or Fujifilm X-mount camera owners is its size. You can get ultra-wide zooms for these cameras, but they can’t match the Laowa’s size, or indeed its f/2.8 maximum aperture. You can even fit 49mm filters to the front. This is a manual-focus lens, which proves less of a problem than you might think, but with no mechanical or electrical connections to the camera, it means you’ll need to use manual exposure too. The Laowa feels beautifully made, with a smooth, long-travel focus ring and a distance scale with enough markings for fairly precise zone focusing, plus depth of field markings for each aperture, for gauging hyperfocal distances. In practice, at these focal lengths practically everything falls within the lens’s depth of field unless you’re shooting objects close to the camera at wide apertures. Manual exposure is similarly painless, especially if the camera body has a shutter speed dial or a control dial you can use for this function. The lens aperture is set manually using a ring on the lens. The ‘Zero-D’ in this lens’s name refers to its zero-distortion design, and it’s justified. Regular ultra-wide zoom lenses deliver good doses of barrel distortion and pretty soft edges, but the Laowa is different. Straight lines (and horizons) stay dead straight right up to the edges of the frame, and detail is super-sharp. As with any lens this wide, tilting the camera upwards to capture tall buildings can result in very strong converging verticals. There is some lens flare on the far right side of this image, but that’s because the naked sun is in the frame – otherwise, the Laowa 9mm f/2.8 is not particularly prone to flare.